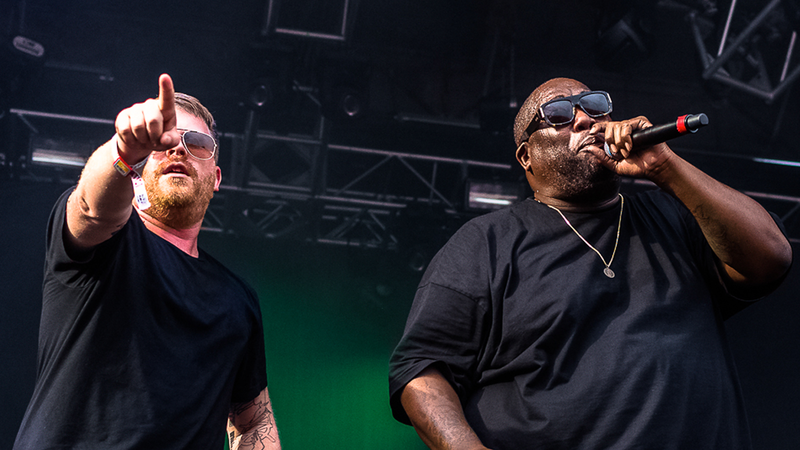 This morning, hip-hop fans were treated to a shiny set of new tour dates for 2017 from El-P and Killer Mike, the innovative alternative duo more commonly known as Run the Jewels.The announcement of these dates comes ahead of their highly anticipated third LP, Run the Jewels 3, set to be released sometime this year (though no release date has been confirmed as of yet). The Run the World Tour will feature guest appearances from The Gaslamp Killer, Spark Master Tape, and Cuz, and will kick off in Philadelphia in January 2017, before concluding with a final show at NYC’s Terminal 5 on February 25. So far, 33 dates have been announced, so be sure to track Run the Jewels on Bandsintown to find out when they'll be playing a show near you!